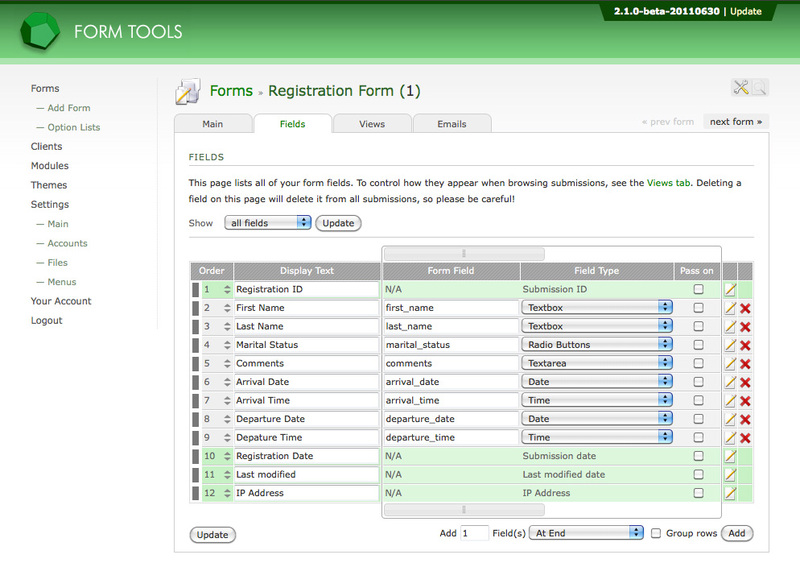 Deleting form fields is done through the Edit Form » Fields tab. It works very simply: just click the little "x" icon for those fields you'd like to delete and click the UPDATE button at the bottom of the page. WARNING: deleting a field on this page will delete it from all submissions! This cannot be undone, so please be very careful. 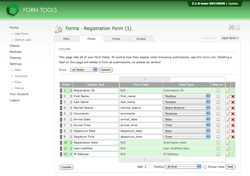 Instead of deleting the actual form field, you might want to consider just removing it from one or more of your form Views. That way, it will never appear for you or your client accounts when browsing submissions. For more information on that, see the Views section.